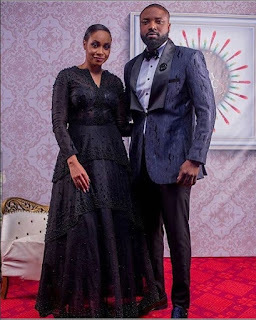 Ghanaian fashion designer and actor Elikem Kumordzie has in an online report sighted by Dawuroo.com disclosed the reasons for seeking divorce against his Zimbabwean ex-wife Pokello Nare. 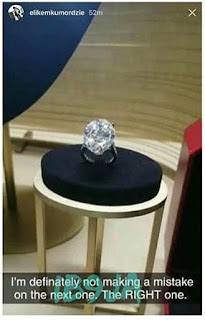 Elikem has cited among other things, jealousy as a cause of the breakdown of their marriage. According to the zimbabwenewslive.com Elikem filed the divorce last month, saying he lost affection and love before he declared their relationship “irreparable”. The Ghanaian celebrity fashion designer who is being represented by Harare lawyer Rungano Mahuni of Mahuni Gidiri Law Chambers in Zimbabwe noted in the petition that his jealous wife was harming his professional work as she got uncomfortable when he played romantic roles in movies. Elikem also seeks a divorce decree order that custody of their minor child be awarded to her with him exercising reasonable access on agreed holidays. He also wants to pay $500 monthly as maintenance. Meanwhile, Pokello 32, has filed a notice of intention to defend summons issued by her Ghanaian husband, Elikem Kumordzie, 29, seeking a decree of divorce against her. Elikem and Pokello met during Big Brother Africa (BBA) in 2013 where they both represented their countries in the reality show.